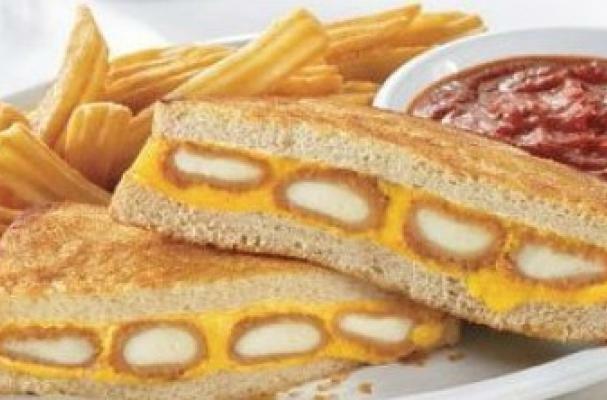 Denny's restaurants have recently debut their newest comfort food menu item, The Fried Cheese Melt. This sandwich boasts of "four fried mozzarella sticks and melted American cheese grilled between two slices of sourdough bread." It is served with a side of marinara sauce for dipping. This high calorie grilled cheese weighs in at 895 calories. Have you tried The Fried Cheese Melt? Did you like it? Let us know in the comment section below.